The Himalaya nestles in its bosom, innumerable places of pilgrimage, origins and confluences of holy rivers, lakes and shrines – all having a special significance in Indian heritage and mythology. Most of these are part and parcel of the mindscape of the average Indian, even though he may not have actually beheld them. Foremost among them are the CHAR DHAMS-comprising of the Gangotri, Yamunotri, Kedarnath and Badrinath- Haridwar, Rishikesh, Uttarakashi, the rivers Ganga, Bhagirathi, Alakananda, Mandakini and Panch Prayag- five confluences of holy rivers. The Himalaya Darsan Chardham Yatra, through all these places, organized under the personal guidance of Swami Sandeepananda Giri, is a special pilgrimage that promises to take one through a rare experience that combines spiritual exercises, appreciation of Nature and Indian culture, satsangs and repose for the mind. The Yatras Are Usually Held Annually During July – September. Ganga, perhaps the most celebrated river on earth begins at Gangotri which literally means Ganga Uttari or Ganga descending. It marks the legendary source and at this spot, is named Bhagirathi, after King Bhagiratha, who is credited to have brought her to earth, following severe penance. 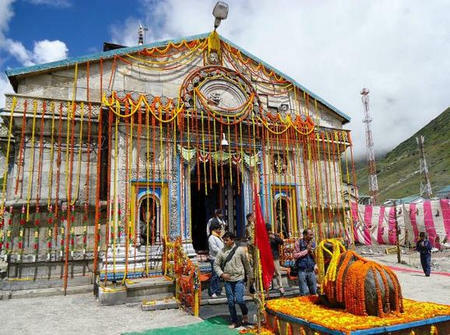 The Shrine of Gangotri is situated at an elevation of 3200 m above sea level amidst beautiful surroundings along the right bank of Bhagirathi. A pilgrimage to the Holy Shrine of Shri Mata Vaishno Devi is considered to be one of the holiest pilgrimages of our times. 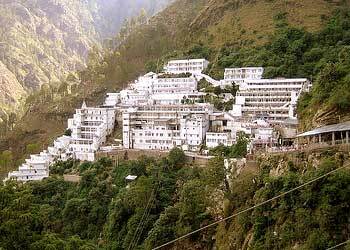 Shri Mata Vaishno Devi resides in a Holy Cave located in the folds of the three peaked mountain named Trikuta ,situated at an altitude of 5200 ft. Three natural rock formations called the Pindi represent the deity. 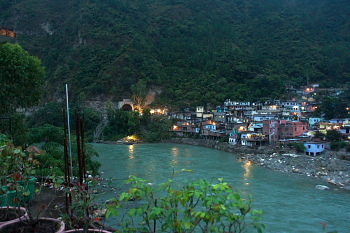 Yamunotri,the source of the Yamuna, lies at an altitude of 3235 mts above sea level. The actual source is a frozen lake of ice and glacier (Champasar glacier) located about 1 km further up. It is not frequented generally, being rather inaccessible and hence the shrine is located on the foot of the hill. The sacred shrine of Yamunotri, is the westernmost shrine in the Garhwal Himalayas. 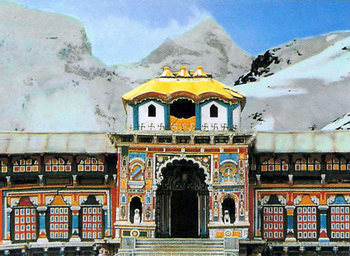 Badrinath is one of the oldest places of worship dedicated to Lord Vishnu. It is situated on the bank of Alakananda and between the two mountain peaks Nara and Narayana. The towering Neelkanth peak provides a stunning back-drop. There are references in the Vedas to Badrinath, but it was Sri Sankaracharya who re-enshrined the temple. Badrinath has strong ties to Kerala _ the rawal who conducts the poojas is from Kerala and modes of worship too have similarities. In India, rivers are revered as goddesses and there is a special sanctity attached to the confluences of rivers. Panch Prayag- five such confluences are located in the Garhwal region of the Himalayas. The five prayags are Vishnuprayag, Nandprayag, Karnaprayag, Rudraprayag & Deoprayag. 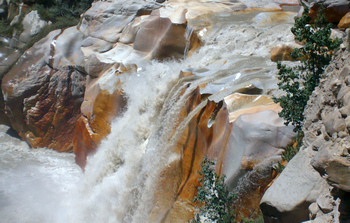 They mark the different meeting points of the Bhagirathi, Alakananda, Mandakini, Dhauliganga, Pindari and Vishnuganga. Haridwar is rightly called the gateway to the Gods, since this is the place where the pilgrimage to two famous temples Kedarnath (Lord Shiva) and Badrinath (Lord Vishnu) begins.Situated on the banks of river Ganga, at the foothills of Shivalik mountains,this was the place of meditation for sages and rishis and is one of the four places where Kumbh mela is held every 12 years. Places of interest nearby are Har-ki-Pauri, Ram Krishna Mission Seva Ashram, Gurukul Kangri University, Sapta Rishi Ashram, Bharat Heavy Electricals Factory, Mansa Devi Temple,etc.Rishikesh, the spiritual town,is situated 24 kms upstream from Haridwar, at the confluence of the Chandrabhaga and Ganga. According to mythology, the sage Raibhya Rishi sat on the banks of the Ganga and performed severe penance. He was rewarded when the lord appeared in the form of Rishikesh, thus giving the place its present name. 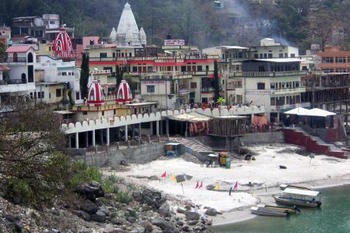 Triveni Ghat, Bharat Mandir and Laxman Jhula are some of the places of interest in Rishikesh. 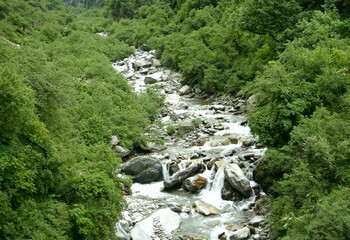 Uttarakashi is a big town and is situated near the river Bhagirathi. This historic town has lot of ancient monuments and temples. The most famous temples is Lord Viswanath temple, dedicated to Lord Shiva. 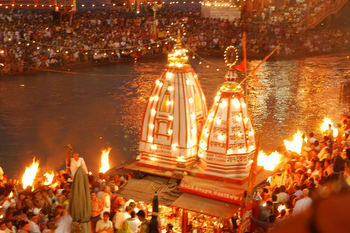 There are lot of similarities with town of Kashi and hence the name.